School was never really my ‘thing’. 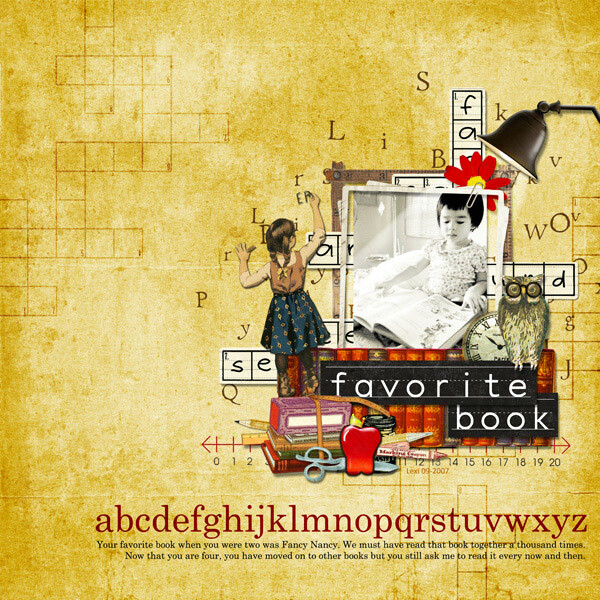 (Too shy, would rather have my head in a book at home!) But, I did love shopping for new markers, notebooks, paste, and crayons. There’s really nothing like a new box of crayons! Preferably the BIGGEST box available. 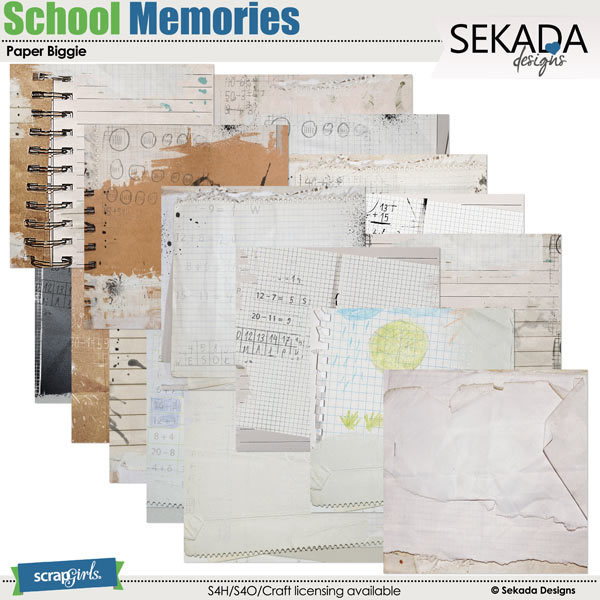 Whether you are looking for kits for layouts you know are on the horizon, or other school-themed projects, Scrap Girls has a wide selection just waiting for you! 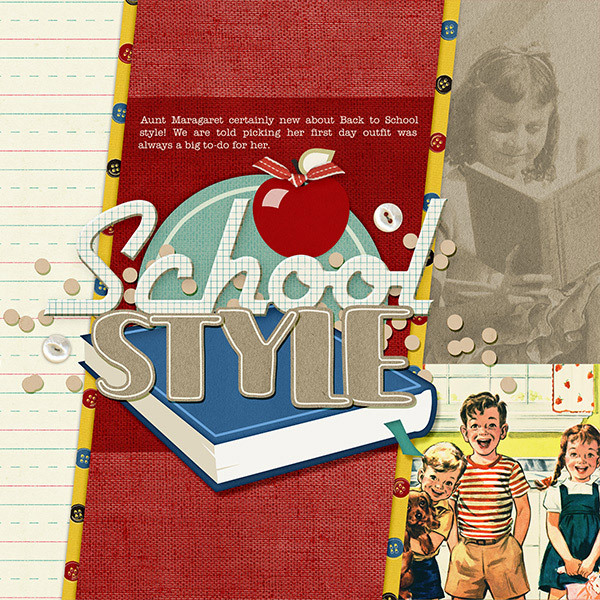 Check out these fantastic Scool themed products and layouts! 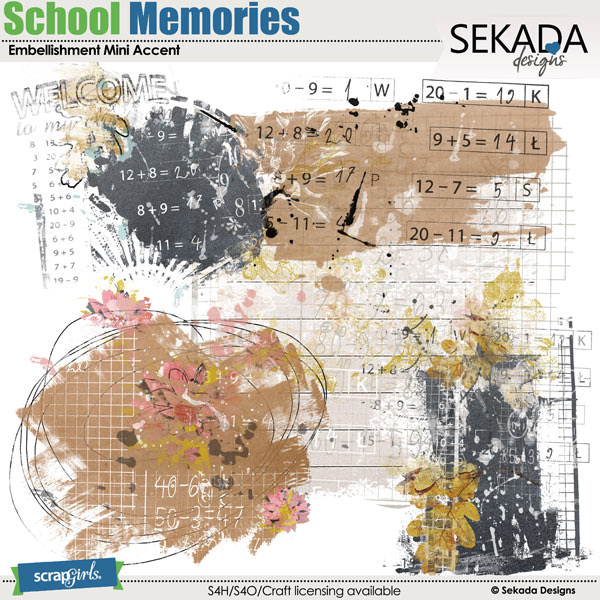 These Embellishment Clusters are so fun! 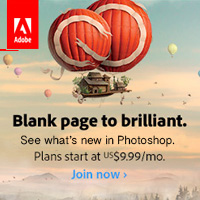 I love how realistic and layered they are. So easy to create a layout around them. 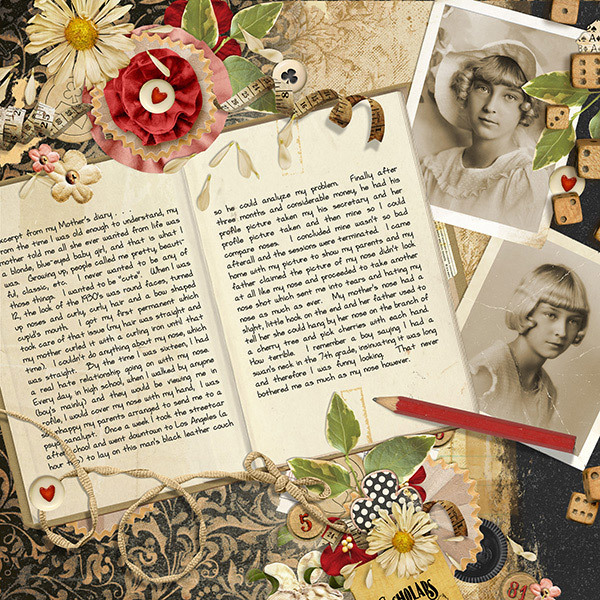 Vintage style kits are so versatile! 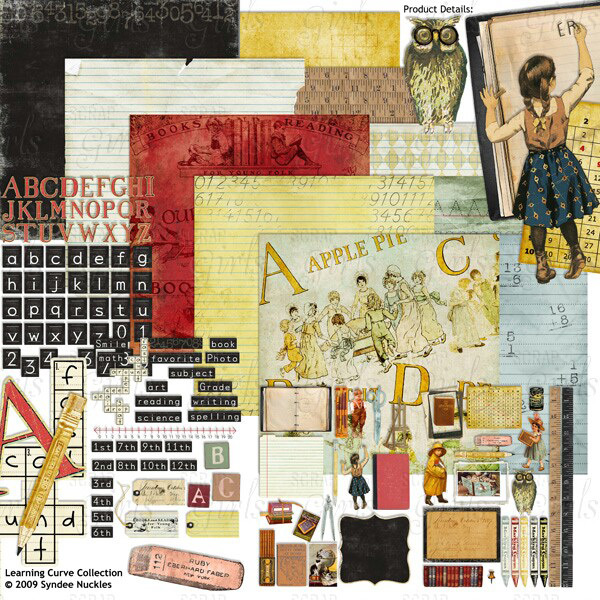 This kit can be used for school, kits, or even heritage layouts. I adore the colors and creativity of this kit! 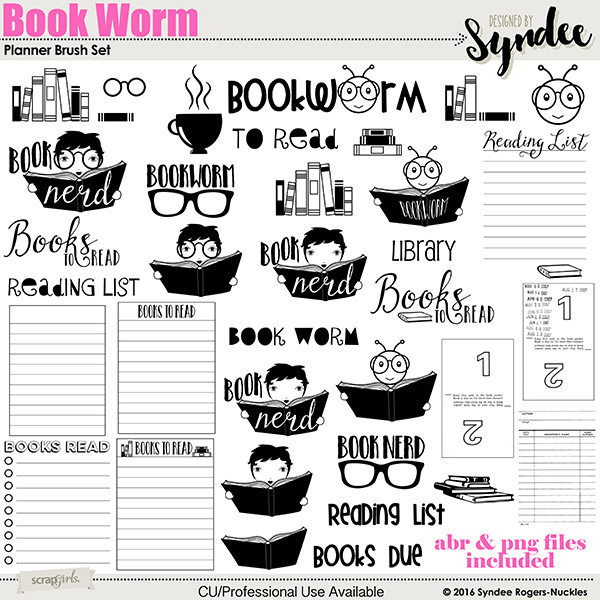 If you or your children are book lovers, these are perfect for scrapbook pages, printable book lists, planners and more! 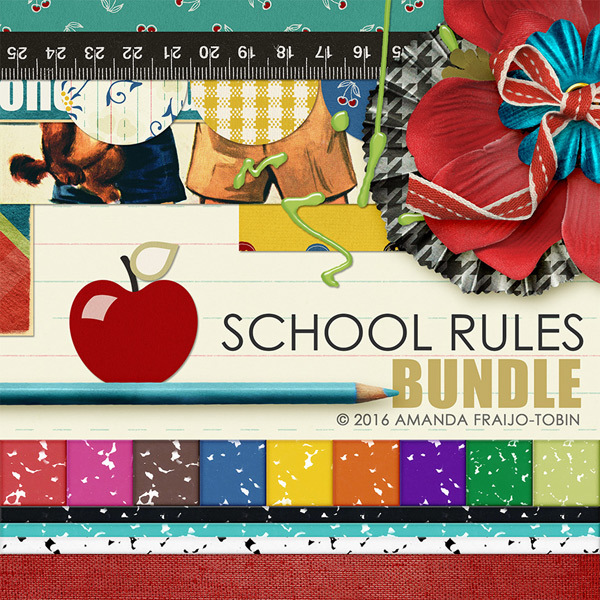 Get lots of goodies and save lots of money with this fabulous school themed bundle! 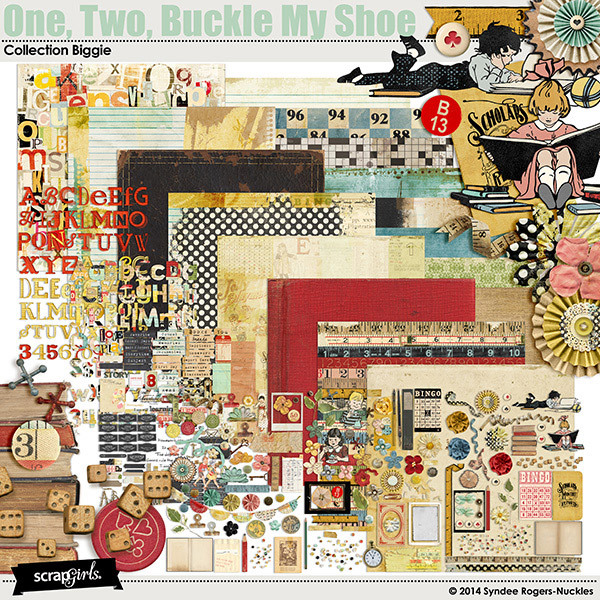 These are fabulously artsy and so fun to play with! 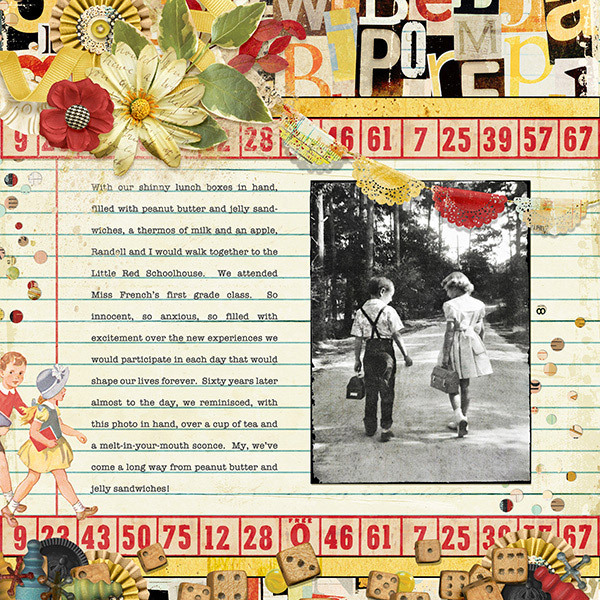 Another vintage school themed kit rich with textures and a lot of fun elements mixed in. 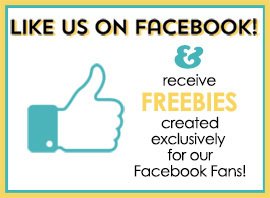 We would love to see your school themed creations in the SG Gallery!